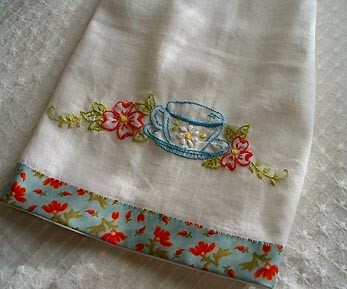 I have always admired the sweetness of hand embroidery. I count it as treasure when I come across dainty dresser scarves, pillowcases or handkerchieves at an estate sale. So many times they sell for under one dollar. I think to myself the hours of work to sell for .50---I can't help but to scoop them up and take them with me. 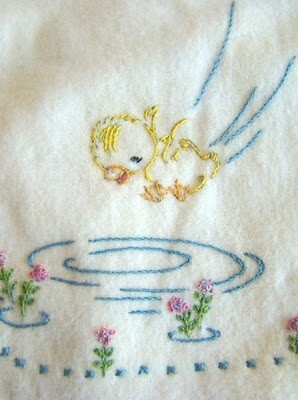 Lately I have been inspired--once again by Pinterest---with the beautiful embroidered pieces posted. Yesterday when my son presented me with a gift card from Joann Fabric for my birthday, I knew exactly what I was going to spend it on. 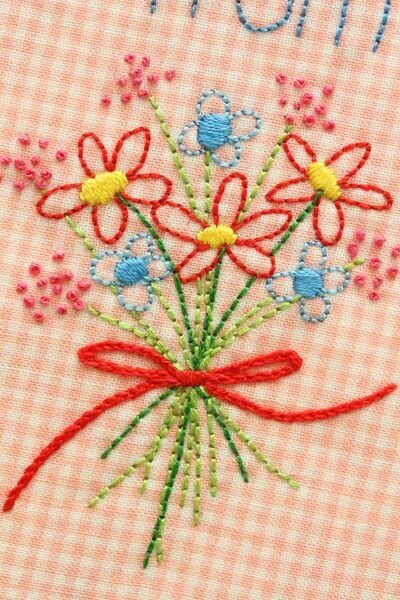 I have been looking at a book called Doodle Stitching by Aimee Ray for some time now. 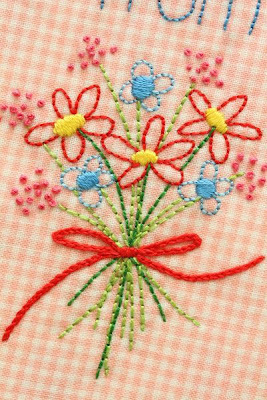 it also has wonderful directions and photos of how to accomplish each stitch. Believe me if I can learn form these instructions --they are very well written :) I could hardly wait to get started. I chose a few patterns, traced them onto my tracing paper with a special embroidery transfer pencil and began to embroider. The instructions said to use between 3-6 strands of floss--I chose 6----bad decision because my first attempt did not go so well. Too many strands of floss--the outline is way to thick. Oh well try again.......This time using 3 strands of floss. I still have lots of practicing to do but not bad for my first attempt. I think I am going to like this embroidery thing. Oh no, more supplies that I will need to collect :) I may have to build on another room on our house just to store everything. Very much fun! Happy stitching.